The Geo-Joist Floor Slab System from CMI is like no other floor system on the market, a showcase of CMI’s foundation and geotechnical construction solutions. 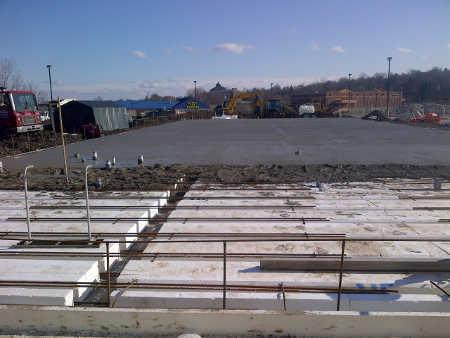 CMI’s Geo-Joist floor slab system was developed out of the need for a structural slab to use on projects where a structural slab is required in order to span unstable soil or heavy floor loads. This floor system incorporates a vapor barrier, insulation and concrete joists in one step. With CMI’s Geo-Joist system and the use of Helix™ Micro Rebar, labor costs are greatly reduced saving you money and completing your projects faster, while also providing you with an effective structural solution. To learn more about the Geo-Joist System and floor slab services call CMI today at (888) 300-3936.